Joseph J. DePalma represents individuals, organizations and government entities in national class actions and other complex commercial and consumer litigation. A co-founder of Lite DePalma Greenberg and the firm's managing member since 1988, Joe has a strong record of success helping clients achieve the results they seek and winning precedent-setting court victories that can prevent future litigation. "At Lite DePalma, we try to achieve decisions with impact," says Joe. "Winning a jury trial or negotiating a favorable settlement can help my clients today. But we also want to influence case law in ways that have lasting, positive effects." In his class action practice, Joe concentrates on representation of plaintiffs in disputes involving antitrust, product liability, consumer fraud, securities, ERISA and other areas of law. Joe has negotiated numerous landmark settlements, including two of the top 50 national securities class settlements to date. Joe also achieved one of the top five accounting settlements in the nation, against a Big Four accounting firm. Haley, et al. v. Kolbe & Kolbe Millwork Co., Inc. (USDC WDWI). Joe serves as co-lead counsel in this nationwide product defect case against a manufacturer of windows. Stern v. Maibec (USDC DNJ). Joe is co-lead counsel in this nationwide product defect case against a Canadian manufacturer of high-end shingles used primarily in residential applications. Mendez v. Avis Budget Group, et al. (USDC DNJ). Joe serves as local counsel in this nationwide consumer fraud case against one of the largest automobile rental companies, alleging his clients were damaged as a result of hidden overcharges. Diana v. Horizon Healthcare Services, Inc. (USDC DNJ). Joe is co-lead counsel in this data breach case, representing persons whose private medical information was contained on stolen laptop computers. Krishanthi et al. v. Rajaratnam (09-cv-05395-JLL-JAD, USDC DNJ). Joe serves as local counsel in a significant and hotly contested case brought on behalf of citizens of Sri Lanka who were victims of terrorist bombings in that country. Joe is representing the injured, as well as representatives of those killed during these tragic events. The case involves violations of international laws arising out of the alleged funding of those terrorist activities. In Re: JPMorgan Chase Mortgage Modification Litigation (USCA 11-md-02290-RGS, USDC DMA), in which Joe pursued a successful class action against a bank involved in the recent foreclosure scandals, achieving meaningful relief and a better resolution process for borrowers. In Re: National Collegiate Athletic Association Student-Athlete Concussion Injury Litigation, (13-cv-09116, USDC NDIL), in which Joe represented college athletes who suffered or were at risk of suffering head trauma, achieving structured relief, in-game medical protocols and medical monitoring of athletes, while preserving their right to pursue individual litigation. Hegab v. Family Dollar Stores, Inc. (11-cv-01206-CCC – JAD, USDC DNJ), in which Joe successfully represented the plaintiff class in this wage-and-hour dispute. Prior to this, Joe represented plaintiffs in a number of national securities class actions, including In re Atlas Mining Securities Litigation, where he obtained a hard-fought settlement representing a shareholder recovery of up to 30 percent; In re Aremissoft Corp. Securities Litigation, in which over $250 million has been recovered to date; and In re Royal Dutch/Shell Transport Litigation, where he achieved a $90 million settlement, one of the largest ERISA settlements ever. In a complex MDL mass action proceeding involving the illegal harvesting of body parts and the untested surgical implanting of those parts, Joe, along with a team of nationally recognized colleagues, achieved a global settlement in In re Human Tissue Product Liability Litigation. 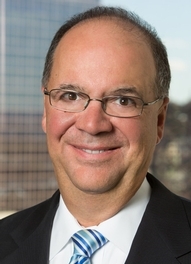 Joe also played a significant role in In re Bristol-Myers Squibb Securities Litigation, which settled for $185 million, In re Merck & Co. ERISA Litigation, a $49.5 million ERISA settlement, and Galanti v. Goodyear, a $300 million product liability settlement. Joe also represents classes created on behalf of government entities and state agencies. Among other high-profile class action matters, he served as co-lead counsel on behalf of the State of New Jersey and its Division of Investment, the state pension fund with over $81.3 billion in asset value. Joe has also served as advisory counsel to the State of New Jersey a variety of capacities, including in connection with three of the last decade's most important securities fraud lawsuits: Reginald Newton v. Tenet Healthcare Corp. (Tenet Healthcare Securities Litigation)(C.D. Cal. ), in which settlements of $216.5 million and $65 million were achieved against two groups of defendants, and In re Motorola Securities Litigation (N.D. Ill.), for which he helped negotiate a $193 million settlement. In addition to his class action practice, Joe also handles shareholder derivative litigation and commercial litigation. Joe has developed a comprehensive understanding of the needs of business and the role of corporate governance, due in part to his past service as an independent board member of a publicly traded company. A hallmark of Joe's legal career is his ability to develop lasting, cooperative relationships, including among opposing counsel. His reputation for professionalism, integrity and responsiveness is one of the many reasons he has been named to the "New Jersey Super Lawyers" list in class action practice by New Jersey Monthly magazine every year since 2007. Joe has also been listed in American Lawyer Media's "New Jersey's Top Rated Lawyers" list, in the category of Business & Commercial, and he holds an AV rating from Martindale-Hubbell. Joe is a Financial Industry Regulatory Authority (FINRA)-approved arbitrator, and an active member of the American Association for Justice (AAJ). He has served as a lecturer on complex commercial litigation for continuing legal education (CLE) programs and regularly speaks at bar association meetings, industry conferences, and events sponsored by trade associations and organizations. From 1992 to 1996, Joe served as a member of the New Jersey Supreme Court's District Ethics Committee. Joe is committed to providing opportunities for future lawyers, and serves on the Board of Visitors of the Seton Hall University School of Law. He is equally engaged in helping address the needs of his community, through his work as a member of the board of, and general counsel to, the Cancer Hope Network, a volunteer organization devoted to counseling persons diagnosed with cancer. In re Par Pharmaceutical Securities Litigation, No. 06-cv-3226 (PGS), 2009 WL 3234273 (D.N.J. Sept. 30, 2009). Zhu v. Schering Plough Corporation, No. 03-1204(KSH), 2008 WL 4510039 (D.N.J. Sep. 30, 2008). In re Atlas Mining Company Securities Litigation, No. CV 07-428-N-EJL-MHW, 2008 WL 821756 (D. Idaho March 25, 2008). In re Tenet Healthcare Corp. Securities Litigation, No. CV 02-8462-RSWL (RZx), 2007 WL 5673884 (C.D. Cal. Dec. 5, 2007). Steiner v. MedQuist, Civil Action No. 04-CV-05487-JBS, 2006 WL 2827740 (D.N.J. Sept. 29, 2006). In re Royal Dutch/Shell Transport Litigation, 404 F. Supp. 2d 605 (D.N.J. 2005); 380 F. Supp.2d 509 (D.N.J. 2005). In re Motorola Securities Litigation, No. 03 C 287, 2004 WL 2032769 (N.D. Ill. Sept. 9, 2004). New Jersey v. Sprint Corp., No. 03-2071-JWL, 2010 WL 610671 (Feb. 19, 2010); 2008 WL 191780 (D. Kan. Jan. 23, 2008); 2004 WL 1960130 (D. Kan. Sept. 3, 2004); 314 F. Supp. 2d 1119 (D. Kan. 2004). In re Lucent Technologies Securities Litigation, No. 00-CV-621 (JAP), 2003 WL 25488395 (D.N.J. Dec. 15, 2003). In re Aremissoft Corp. Securities Litigation, 210 F.R.D. 109 (D.N.J. 2002). In re Lucent Technologies Securities Litigation, 217 F. Supp. 2d 529 (D.N.J. 2002). In Re: National Collegiate Athletic Association Student-Athlete Concussion Injury Litigation, (13-cv-09116, USDC NDIL), a class action on behalf of college athletes who suffered or were at risk of suffering head trauma, achieving structured relief, in-game medical protocols and medical monitoring of athletes, while preserving their right to pursue individual litigation. Hegab v. Family Dollar Stores, Inc. (11-cv-01206-CCC – JAD, USDC DNJ), involving the successful representation of the plaintiff class in this wage-and-hour dispute. In re Human Tissue Product Liability Litigation, a complex MDL mass action proceeding involving the illegal harvesting of body parts and the untested surgical implanting of those parts,which leg to a favorable, global settlement. In re Bristol-Myers Squibb Securities Litigation, which settled for $185 million. In re Merck & Co. ERISA Litigation, a $49.5 million ERISA settlement. Galanti v. Goodyear, a $300 million product liability settlement. Reginald Newton v. Tenet Healthcare Corp. (Tenet Healthcare Securities Litigation)(C.D. Cal. ), in which settlements of $216.5 million. Joseph DePalma was a panelist at the New Jersey Civil Justice Institute and the Morris County Chamber of Commerce 2016 Fall Legal Reform Conference, where he presented a plaintiff’s perspective on the Truth-In-Consumer Contract, Warranty and Notice Act. Joseph J. DePalma was quoted in the New Jersey Law Journal regarding Lite DePalma Greenberg’s success in defeating a motion to send a putative class action, Noble v. Samsung, to arbitration. The case centers on the deficient performance of the batteries in Samsung’s smart watches. Joseph J. DePalma was named to the Board of Visitors of the Seton Hall School of Law. Lite DePalma Greenberg was mentioned in the New Jersey Law Journal for the firm's role on the team that achieved a $42 million class action settlement against Staples on behalf of Staples managers. Joseph J. DePalma and Mayra V. Tarantino participated in that case for the firm. Joseph J. DePalma appeared in an article in the New Jersey Law Journal about a nationwide class action lawsuit that LDG filed against Maibec, Incorporated for defective siding shingles. Joseph J. DePalma was quoted in an article in the New Jersey Law Journal about ERISA securities litigation. The article highlighted the firm's success in In re Schering-Plough ERISA Litigation, 420 F.3d 231. Joseph D. DePalma was featured in a recent Seton Hall Law Rising publication for alumni. The article, entitled "A Gift of Gratitude – Lite DePalma Greenberg, LLC" emphasizes the firm's commitment to giving back to Seton Hall Law. Many cases that would ordinarily be brought in court have been swept into the black holes of AT&T Mobility, LLC v. Concepcion, 563 U.S. 333 (2011), and Kindred Nursing Centers Ltd. Partnership v. Clark, 137 S.Ct. 1421 (2017), black holes, forcing these disputes into secret arbitration proceedings. Many readers of our blog are familiar with these Supreme Court decisions, but for those who are not, here's a brief recap. Businesses have begun to use initial coin offerings, or ICO's, to raise capital in ways that appear similar to the traditional mode of "going public," through an Initial Public Offering, or IPO. Although the IPO and ICO both function as vehicles for a company to obtain funding from the public, they vary in this important respect: in order to raise capital pursuant to an IPO, the company must adhere to the requirements of the Securities Act of 1933, including the filing of a registration statement. To date, no ICO has complied with the 1933 Act. Not a single registration statement has been filed. The Supreme Court's assault on Rule 23 continues unabated. This time, in California Public Employees' Retirement System v. ANZ Securities, Inc., 137 S. Ct. 2042 (2017), the Court weakened a litigant's constitutional right to opt out of a class settlement. As discussed below, that decision requires absent class members and class counsel to rethink old strategies. The Miami Herald recently reported, "Facebook friends aren't necessarily real friends." While this headline comes as no surprise to someone like myself (born in the ‘50's), the meaning of a "Facebook friend" was front and center in Law Offices of Herssein and Herssein, P.A. etc. et al., vs. United States Automobile Association, a Florida Court of Appeal opinion that was filed on August 23, 2017. The March 2017ABA Journal‘s lead article is on managing cyber risk. This informative piece contains startling numbers: One cybersecurity firm estimated that at least 80 of the largest 100 firms by revenue have been hacked since 2011. Crains's Chicago Business reported that last year one foreign hacker alone targeted 46 law firms in the United States, and others elsewhere. The threat is clear and present, so what are lawyers to do about it? Our firm's blogs have never addressed political issues, by choice. Our firm comprises attorneys of different races, faiths and political persuasions. We are all respectful of each other's divergent views. Rather than blogging about one political view or another, we have devoted our writings instead to legal issues of the day. But, just as Michael Corleone replied to his wife Kay's question regarding the family business, when the new Godfather answered by saying, "this one time," here goes: A political blog, just this once. The United States Supreme Court erected a considerable barrier to consumers who want to have their disputes with sellers resolved in court. Its decision in ATT Mobility LLC v Concepcion, 563 U.S. 333 (2011), ushered in a new concept in American jurisprudence, forced arbitration. Take it or leave it arbitration clauses, restricting a person's right to a jury trial, to join claims with others, and to proceed as a class action, have now become commonplace in virtually all consumer contracts. Despite this hurdle, courts have begun to give closer scrutiny to these purported "agreements." What do a boardwalk arcade game and sand castles have to do with the most recent US Supreme Court's decision involving class actions? Plenty, it seems. In Campbell-Ewald Co. v. Gomez, No. 14-857, the issue presented was whether, in a class action, a defendant's unaccepted offer to settle renders the case moot. This device is commonly referred in class action parlance as "picking off" a plaintiff. "Whac- a-Mole" is a boardwalk arcade game where players use a mallet to hit toy moles, which appear at random from holes in the game board, much like the game a wrongdoing defendant plays when it picks off named plaintiffs- one after the other- to try to block the case. Fun with Civil Procedure. Filing an Appeal-Quando, Quando, Quando? Ever lose sleep about the interplay between 28 U.S.C. § 1291, (appeals from final decisions). Fed. Rule Civ. Pro. 54(b), (appeals from separate claims) and 28 U.S. C. § 1407 (cases centralized in an MDL proceeding)? Now you can rest assured. The question of when to appeal a decision disposing of a case in its entirely, but during the pendency of a still ongoing multi-district litigation, has been resolved. In Gelboim v. Bank of America Corp., No. 13-1174, decided January 21, 2015. the Supreme Court unanimously ruled that a party in an MDL proceeding can file an appeal as of right under § 1291 even during the pendency of an ongoing MDL, so long as the decision appealed from disposes of all of the claims in that case.